Godrej Sky Gardens: Live a luxurious life in the sky with the stars!! The iconic Godrej properties present Godrej Sky Gardens an elegant residential project that promises you umpteen moments of joys and happiness. 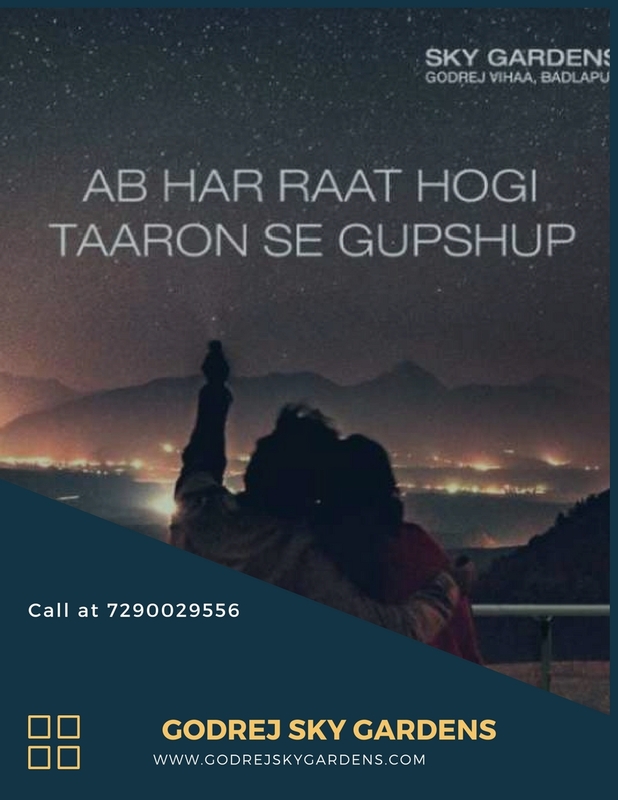 Located at Badlapur, Mumbai, the architectural marvel offers you newly solicitously designed homes that take care of all your comforts and conveniences. The quality housing is available at affordable rates in order to fit everyone’s pockets. It offers you a stylish mix of health & leisure activities that add to your status & confidence and make you the proud owners of sophisticated homes. Offering you a classy & elegant lifestyle, the premium development Godrej Sky Gardens Badlapur spreads over luscious land parcels and comprises of skillfully- crafted 1 & 2 BHK residential formats. The area of the homes varies from 43 sq. mtr to 66 sq. mtr. and are loaded with top-notch amenities from start till the end. The homes are artistically arranged into an 18 storey tower that looks quite impressive and inviting. Approximately 400 housing units will be launched. The well-crafted interiors will offer ample space for you to roam around freely and will modernize your lifestyle. The rooms are bright, airy & spacious and are perfectly designed to allow maximum natural light & fresh air to flow through the windows making the ambience very fresh and positive. The torrent of life-enhancing amenities available in the campus include ample car parking space, round-the-clock power & water space, many other roof top amenities, play area for children, swimming pool, club, state-of-the-art gym, vast open greens, etc. The beautifully landscaped area enhances the beauty of the environment and also lets you breathe-in clean & crisp air. Its advanced security arrangements offer a comfortable and secured lifestyle for you and your loved ones. Well-maintained gardens let you spend some time alone in solitude. There are multiple sports facilities available for those who love to stay fit and active. The pleasing and heartwarming homes are available at a very nominal price tag that makes the property worth a purchase. The lower price is Rs 32 lakhs and the upper price is Rs 51.81 lakhs. The payment structure is supported by smart and easy installment plans to make it a comfortable purchase. The buyers and investors can also opt for home loan facilities offered by different banks at decent rates of interest. Comfortably located at Badlapur in Mumbai, the property allows easy commuting in all directions; it is easily accessible to places of daily convenience like schools, colleges, hospitals, malls, supermarkets eateries, bank branches, etc. 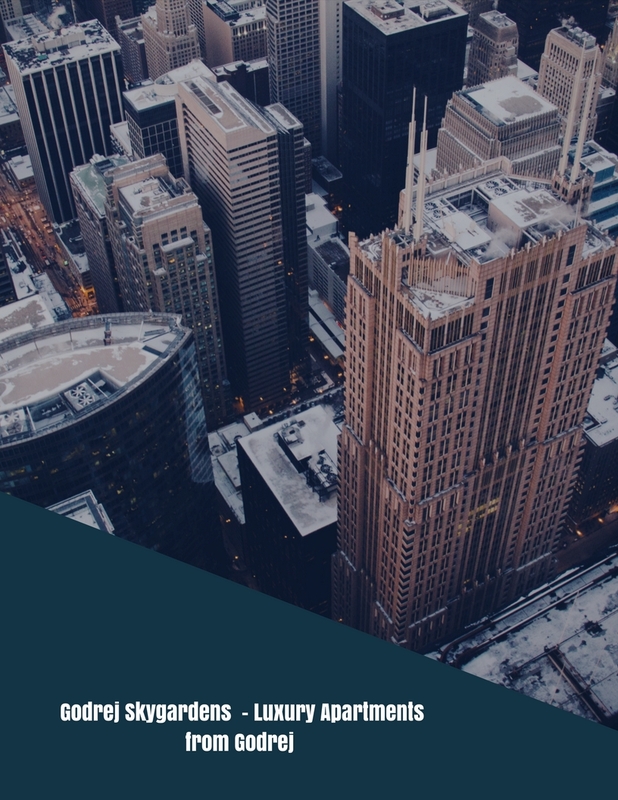 Hence, to sum it up, the spectacular residential development Godrej Sky Garden Mumbai is a super-affordable residential project that is very aptly located. Offering you the best-in-class lifestyle, the property is a not-to-be missed apartment deal in a sprawling city like Mumbai. So, don’t delay! Book you future home now as places like Godrej Sky Gardens are not easy to get! 400 units to be launched. Self sustained eco - system with retail plaza. 8 Apartment in a floor. Excellent Connectivity - Road touching Property. Flower garden - zen garden. Situated just 2.3 kms from Badlapur Railway Station. Chaitanya Vidyalaya School 2 mins. Poddar Brio School 6 mins. M J International School 10 mins. State Bank of India 8 mins. Bank of India 9 mins.